The ITC has ruled that Samsung and Qualcomm did not infringe on patents owned by chipmaker NVIDIA. The suit was filed last year, and revolves around patents on GPU chips owned by NVIDIA. 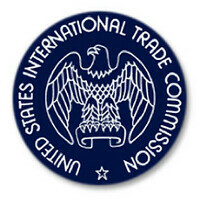 The latter took the issue to the ITC, requesting that Samsung devices using Qualcomm's Adreno graphic processor, ARM's Mali GPU, or Power VR's graphics design be banned from sale in the U.S.
Judge Thomas Pender said that Samsung did not infringe on a couple of NVIDIA's patents, but did infringe on a third. However, the judge ruled that patent to be invalid because it was not considered a new invention. NVIDIA developed the first graphics processing chip, and started marketing it back in 1999. The company claims that it should have been paid licensing fees by both Samsung and Qualcomm. Qualcomm includes the Adreno GPU with its Snapdragon chipsets, used on smartphones including several Samsung models. Samsung is said to be working on its own GPU which might be employed on its Exynos chipsets as soon as 2017. Currently, Samsung uses ARM's Mali GPUs on its Exynos chips. True. Fortunately, per the judges ruling, there was no copying here. From my understanding Exynos was not in question. Samsung was named in the suit because their devices were using a Qualcomm GPU that nvidia claimed infringed. So, nvidia sued both. I could be wrong. I dont know why nVIDIA sue Apple for using imagination's GPu also. And not other manufacturer using Qualcomm's SoC I smell some rotten fruit. Perhaps Apple already paid royalties to Nvidia but with this ruling no more. True, but not entirely a lot of innovation builds on existing technology, and with the enormous amount of patents of late, it quickly becomes near insane, because a lot of times people can come up with something on their own, that is the same as others have come up with, but even if they use it in a new way, or use it as just a part of something it would be infringing, patents are needed but its become far too convoluted. Well if it's a valid claim then it is. Patents are made for a reason and actually help push innovation. Imagine if you wanted to utilize something patented. The company that owns the patents says no. Soooo you go and create your own(without violating patents) but it's better faster, smaller, lighter and actually cheaper to produce. Yea, "imagine" being the keyword there. Because your little dream does not exist in reality. It goes more along the following lines: Person invents something. Bigger troll corporation thinks its vague patent filed years ago and stored in their patent vault very very vaguely resembles your invention. Troll sues inventor and drowns him in legal costs forcing a settlement. Troll wins, inventor dies of cancer. If Nvidia was Apple, that would be a different story. If They Didn't Infringe Then They Didn't, Wouldn't Matter Who Filed The Suit. "However, the judge ruled that patent to be invalid because it was not considered a new invention." How does apple get away suing companies, using patents that are not new inventions?? Paying Off The Judge Of Course. Took the words right out of my mouths. I think Apple contribution in campaign funding might have help impressively.